Our full-on programme of festivals and events runs throughout the year. Easter is just around the corner and there are lots of egg-citing events happening in Conwy County including egg hunts, sword searches and an Easter 5k Promenade Dash. There’s rugby in Colwyn Bay, cricket at Rhos-on-Sea, sailing at Conwy and rallying in the forests of North Wales, with a big focus this year on Conwy and Llandudno during Wales Rally GB, a highlight on the international motorsports calendar. Llandudno’s Victorian Extravaganza plays to its strengths as a time-warp resort. But don’t think it’s fuddy-duddy and old-fashioned – it’s go-ahead too, especially when the Air Show comes to town. Christmas is a special time too, with traditional fairs and celebrations at places like Llandudno and Betws-y-Coed. As well as the high profile events above, there are also many unique events which take place in the smaller towns and villages. 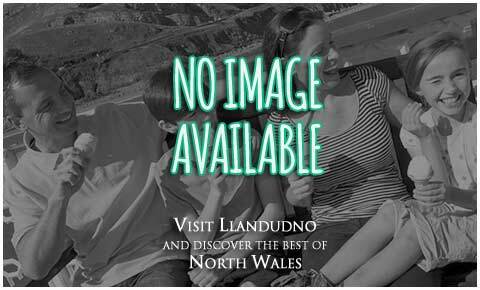 For more information check out our Abergele, Llanrwst, Towyn, Deganwy and our other towns and villages pages for more information. If you are interested in the many different things to do and attractions in the area such as the Great Orme, Llandudno Cable Cars, Llandudno Pier, please take a look at those pages for more information. Alternatively, if you are just looking to visit Llandudno Beach or Colwyn Bay Beach for the day, there is plenty of information on those pages too. If you fancy doing a bit of retail therapy while you are here, our shopping page has plenty of information such as the different types of shops and places to grab some excellent bargains. Last but not least, we highly recommend you take a look at our accommodation page as here you will find information on a wide range of hotels, bed and breakfasts and self-catering properties perfect for every need and budget!